ridden by the spirit of competition and control. Confrontation shall come with the “political spirit”. Even as the “prophetic movement” exposed and confronted the “religious spirit” in the church, so an “apostolic movement of grace and truth” will expose and lay an axe at the historical root of the “political spirit” in the church. The restoration of David’s Tabernacle as prophesied in Amos 9:12 and Acts 15:16-18 shall escalate resulting in authentic 24-hour houses of prayer and praise, worship and intercession sprinkled across the nations. New creative songs and sounds shall emerge as it was with the radical ministry of William and Katherine Booth’s Salvation Army bands. Praise, once again, will not be conﬁned to the “four walls of the church” but will spill out into the open-air arena. In the church world, there will be a continued theological shift away from the false theory of cessationism (spiritual gifts passed away with the closing of the cannon of scriptures and/or the second generation apostles of the early church.) In other words, cessationism is going to cease! A new Signs and Wonders Movement is growing. Healing Rooms and Centers will be instituted in many cities devoted to praying for the sick and casting of evil spirits (Luke 10). Parades of people healed of various diseases will once again occur as in the days of life of John G. Lake in the 1920’s. This move of God will be so powerful that the church will gather in stadiums to worship – both the collective church in given regions as well as some local congregations growing so large that they will ﬁll stadiums for their celebration worship services. There is and will be a great move of the Holy Spirit among women. Many women will be released into the ﬁve-fold ministry and they will be used in the worldwide revival and reformation, which is upon us. Ultimately, the issue will not primarily be “doctrinal” – it will be one of necessity due to the volume of need for laborers for the Harvest. The coming period could easily be termed “The Era of Women Preachers”. A renewed Quietist Movement will emerge as believers in Christ ﬁnd the “secret place” of the Most High to truly be their dwelling place (Ps. 91). A fresh revelation of intimacy with God, communion with their lover/husbandman and master will come forth. A generation in the spirit of Mary of Bethany will arise and gladly “waste their life” on the Lord! 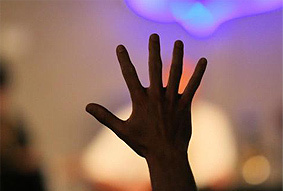 A fresh Holiness Movement will spring up in the church worldwide. Its emphasis shall be one of the Father’s mercies mixed with an authentic spirit of conviction of sin (John 16) causing many to repent and their stained garments to be experientially cleansed by the power and blood of the Lord Jesus Christ. The body of Christ will awaken to her call and responsibility to reach and lift up the poor and oppressed as stated in Isaiah 58:7-12. Finances will be released to care for the widow and the orphan as declared in James 1:27. Chains of orphanages will come forth as the church awakens from her self-centered life styles and hilarious, joyful giving is restored. We will see tremendous transfers of wealth into the Kingdom of God through the ministry of “market place apostles and prophets”. Those with anointing for business, administration and creativity shall be blessed – not resisted – by the church. The wall between clergy/laity and secular market place/spiritual ministry shall come down. An extravagant Youth Movement is coming to the global body of Christ that will “rock the nations”. Public events will be led by youth to pray and fast for revival, which will spread rapidly around the nations. This will be a “transgenerational anointing” where the hearts of the fathers are turned to the children and the hearts of the children to the Father (Mal. 4:5-6). A wave of “Identiﬁcational Repentance” will overwhelm a remnant of the Gentile church causing her to repent of her historical wrongs against the Jewish people. In response to this, a revelation of the “Sabbath rest” shall be released from the throne of grace that will be non-legalistic and result in healing for many. It is the devil’s strategy to precipitate another type of holocaust – but God will raise up trumpeters like Mordecai who shall prepare the corporate Esther (the church) for such a time as this. Radical prayer will open a hedge of protection for the Jewish people as the shields of the earth belong to the Lord. A “Convergence of the Ages” shall come upon us. The anointings of Pentecostal ﬁre, the healing and deliverance crusades, the Latter Rain presence, the Evangelical burden for the lost, the Charismatic Gifts, the Jesus People zeal, the Third Wave credibility, the revelation of the Prophetic movement and the relational networking of the Apostolic Reformation shall all merge together into a tidal wave that will be greater than the impact of “reformation of 500 years ago.” This will ultimately create what could be called The Great Revolution in the Church”.